The show airing December 18, 2017 – January 1, 2018 ‘highlights’ the Goodnight Celebration. We interviewed Craig Hinchman, Coordinator of the Goodnight Celebration. Goodnight is in it’s 23rd year and is now organized by Festivall. Goodnight is all volunteer-driven; from the venues, the musicians, the transportation etc. The event is scheduled for December 31, 2017 from 6-10 p.m. in and around Charleston, WV. 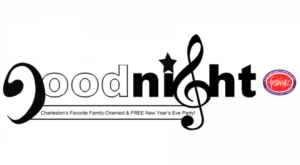 GoodNight is one of the most entertaining family-friendly FREE New Year’s Eve parties in Charleston! Enjoy unique performances at multiple downtown locations with KRT shuttle service. Craig discussed the 13 venues and all the musicians playing. We were entertained by Craig Hinchmand & Ed Pauley of the Craig Hinchman Trio. And we also heard a musical number from George Daugherty, The Earl of Elkview, of the O’Daugherty Family Singers. Thanks to our sponsors: City of Charleston and Mayor Danny Jones, Kanawha Valley Regional Transit Authority, Jim Strawn and Company, TSG Consulting and Charleston Blueprint. We hope you and your family can join in on the fun New Years Eve to ring in 2018.